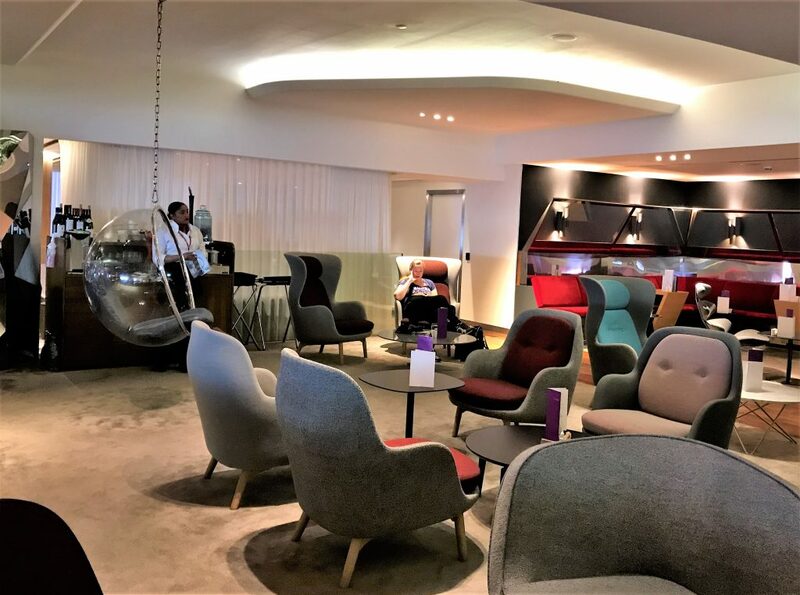 Virgin Atlantic Clubhouse London Heathrow T3 review – the best lounge at Heathrow? Who gets access to the Clubhouse? 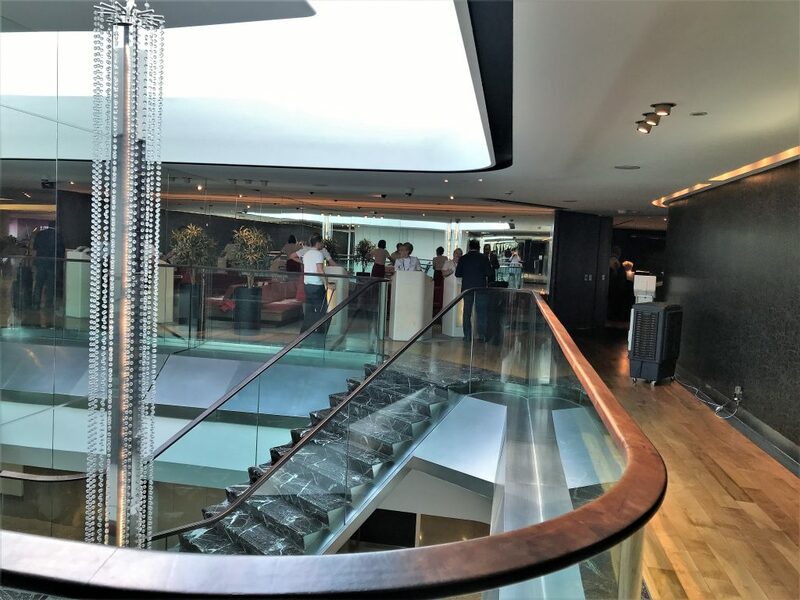 You can access the Clubhouse if you are flying in Upper Class with Virgin, hold Virgin Gold status or Delta SkyMiles Platinum Medallion and are flying with either airline. 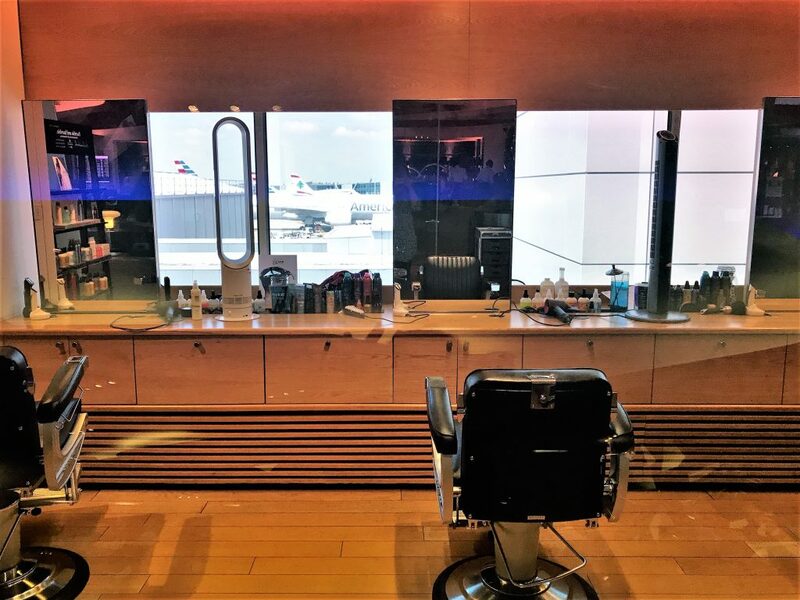 The lounge at Terminal 3 is with all the other lounges and above the American Airlines lounge. Once at the entrance, I was warmly greeted and my boarding pass scanned. This time I was not asked if I had visited before, probably because I now hold Virgin Flying Club Gold status. 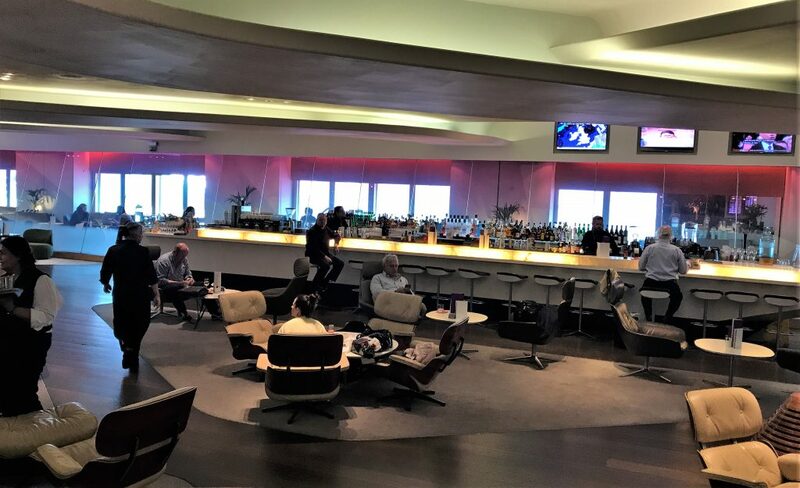 On my previous visit, I was given a tour of the lounge as it was my first visit to the T3 lounge. Once inside the lounge I left my bag at the luggage storage which is manned and then headed straight to the spa to book a treatment. 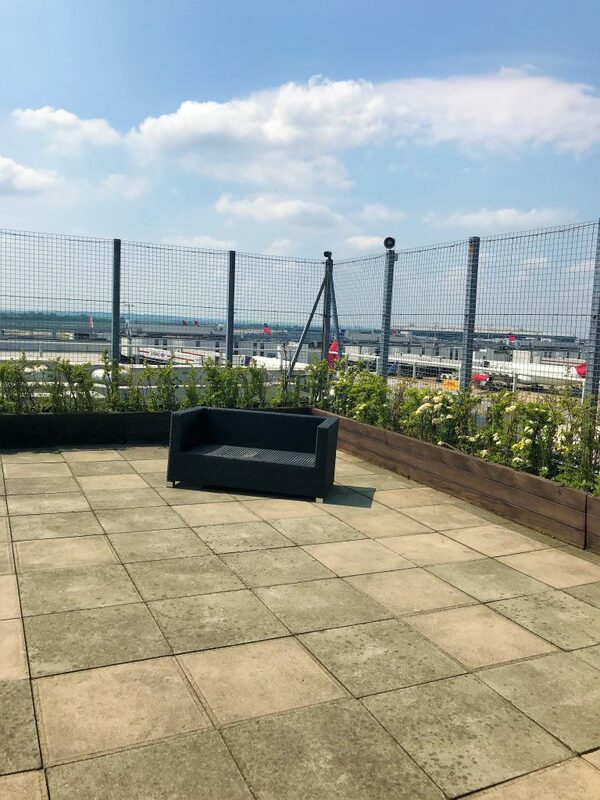 Unfortunately, on this visit it was very hot in the lounge (on a par with the BA Galleries First lounge on a warm day) as they had had an air conditioning failure but they were trying to manage it with portable air conditioners around the lounge. 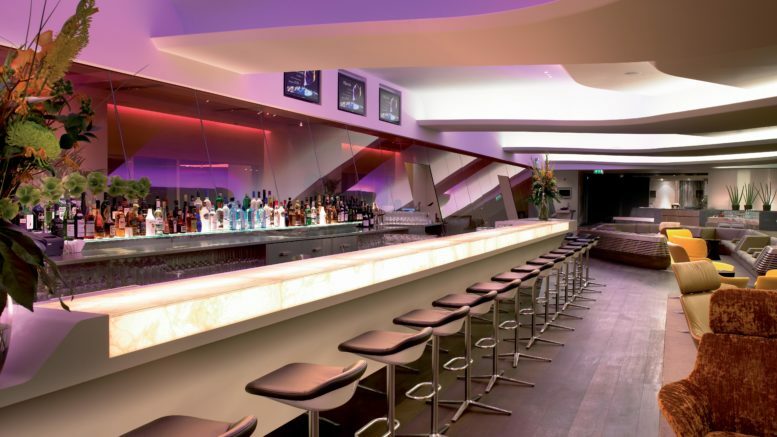 As you enter the lounge you are facing the main seating area and bar. This is a large area but doesn’t feel like a traditional airline lounge to me due to the funky retro design of it. I particularly like the hanging perspex chairs that are just missing a James Bond villain with a white cat or Austin Powers! 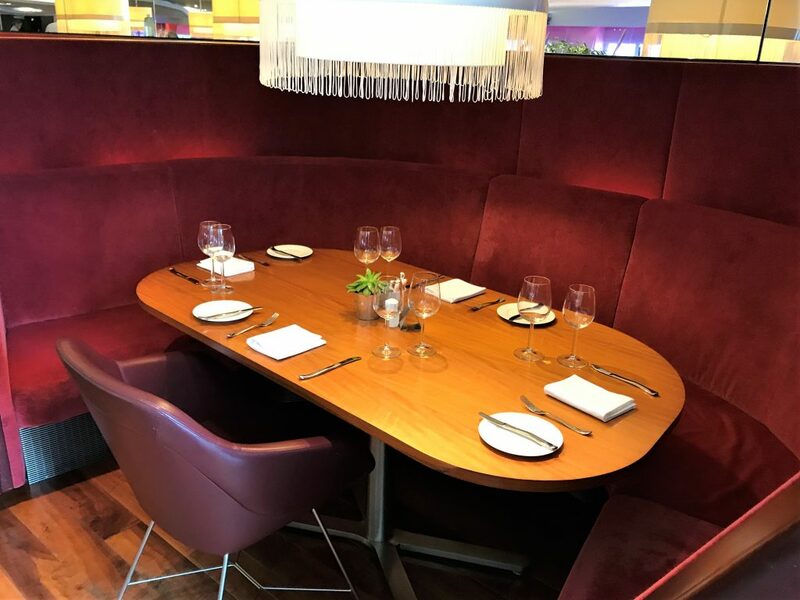 There are lots of smaller seating areas which you can find if you want somewhere quiet to sit. My favourite place to sit is the window seats which are in separate areas behind glass but always very popular. I only had 15 minutes before my spa treatment so I decided to squeeze in a classic Virgin redhead (cocktail!). This is a berry and champagne that sounds sweet but actually has a nice tartness to it. The jacuzzi area of the lounge has been removed when they refitted the lounge in 2017 and redid the restaurant area. There are actually 3 levels to the lounge. 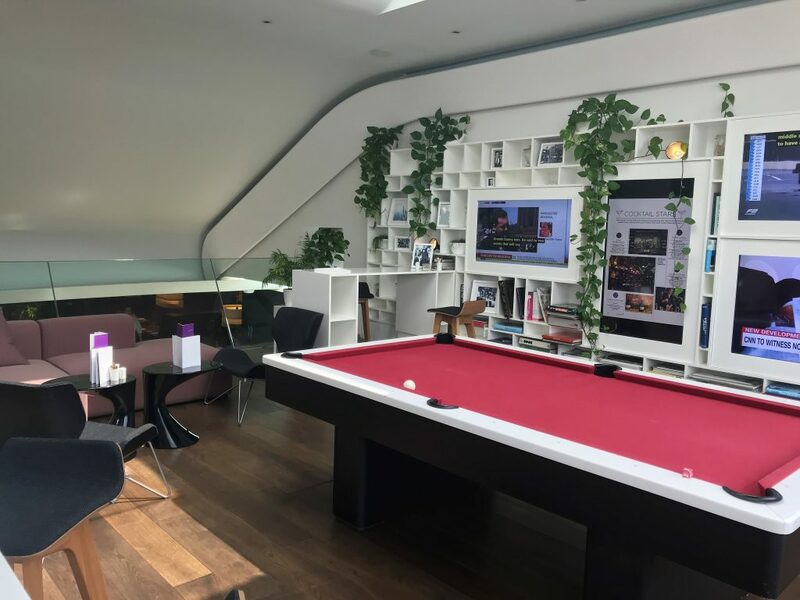 On the next level is the Den, a very quiet games area with retro video games, a pool table and TVs showing the latest news. When I visited there was one person up there who was asleep! On the top level is the viewing deck which was looking rather bare. Normally they have quite a few chairs out but they may not have put them out for summer yet. If you love watching planes this is the place to be on a sunny day with a nice cocktail! 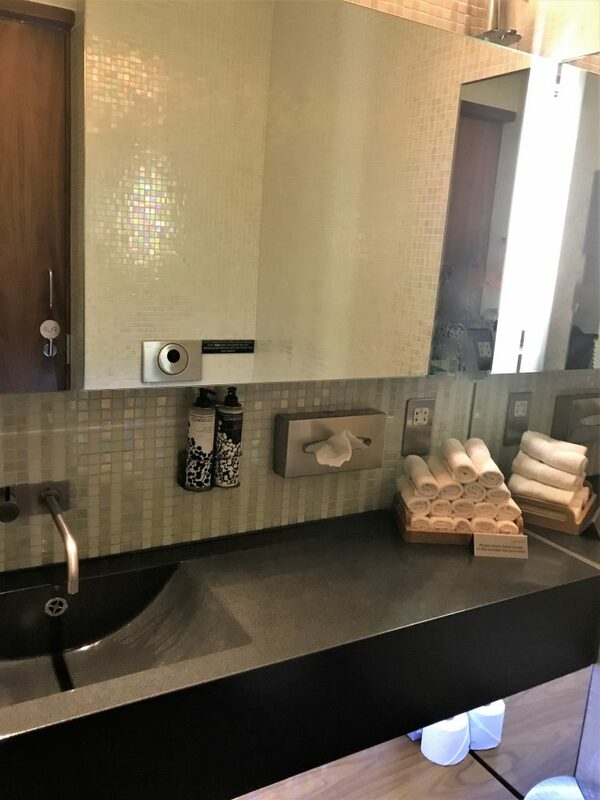 The toilets were individual rooms that were smart and clean with nice Cowshed hand wash and lotion. There are also large shower suites available. 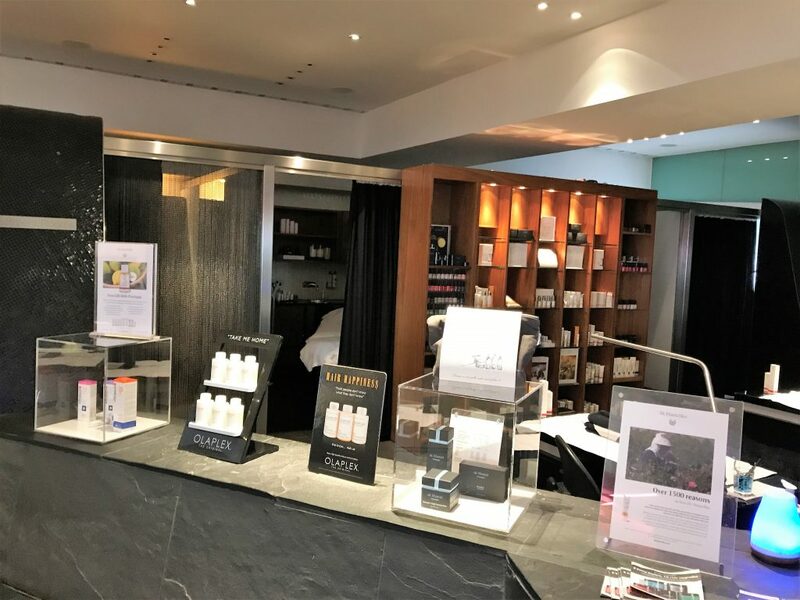 The spa is one of the most comprehensive in a lounge I have seen with a proper hair salon and nail area as well as the main spa treatments. The spa offers a wide variety of services with some free and some paid. You get one free 15-minute treatment with plenty of choice from facials, hair styling to relaxing massages. They also have 30-minute treatments which you can pay for at around £30. You can see the full spa menu here. So far I have always managed to get a spa treatment reasonably quickly. Normally I would have one free one and one paid one. On my previous visit, I had a free hair conditioning treatment and a paid hot stone foot and leg treatment. This visit I was short on time so I just had the free 15 minute Unwind treatment which is a head and foot treatment. I thought the choice of free treatments wasn’t as good as the last time I visited for me personally. However, the therapist was excellent and the treatment was relaxing apart from the fact it was a little noisy by the spa. The treatments are done in proper rooms but the walls do not go to the ceiling so you can hear some noise from the lounge. The therapist’s soothing voice helped to counteract this though as she talked me through some relaxation exercises. The wine selection may not be the finest vintages but I like the fact there is so much to choose from. As well as Champagne, English Sparkling wine, Prosecco, 4 red, 4 white and a rosé wine there was even a dessert wine – a Sauternes. The Champagne is the Lanson Pere et Fils Brut – one up from the standard Lanson Black label which I am not a fan of. The range of food available at the Virgin Clubhouse always really impresses me. No slop on the buffet here! There are 3 options for dining. You can order from the bar snacks menu in the bar area, order from the full menu or there is also a manned deli. I went to the refurbished restaurant which I thought was very smart. There were several sections to the menu to choose from such as tapas, bar snacks and main meals. 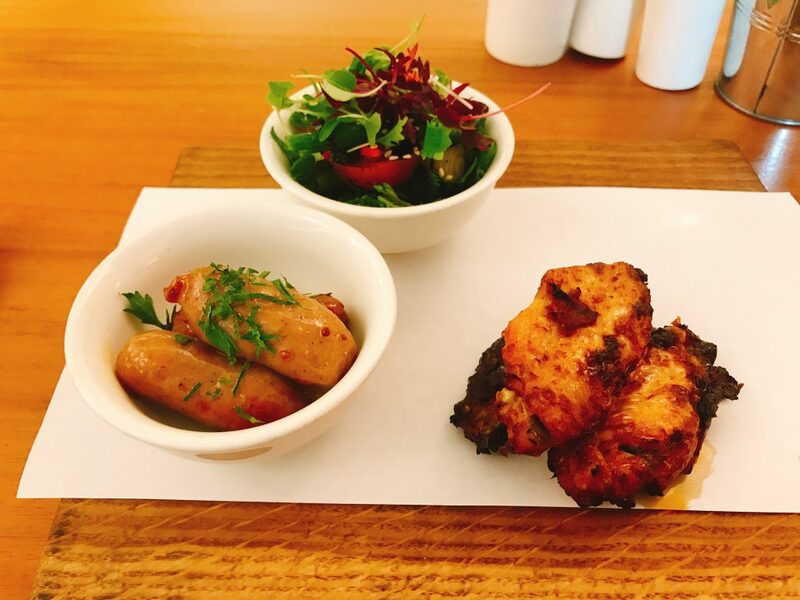 As I was planning to eat on board I had 3 things from the tapas selection – the green bean and sesame salad, the mini chipolatas and the baked chicken wings. The food was all delicious – particularly the bean salad which had chilli in it which gave it a nice little kick. I then popped over to the deli to try some salmon. At the deli, they serve you rather than it being help yourself. My request for a tiny bit seemed to fall on deaf ears as I ended up with an enormous portion. 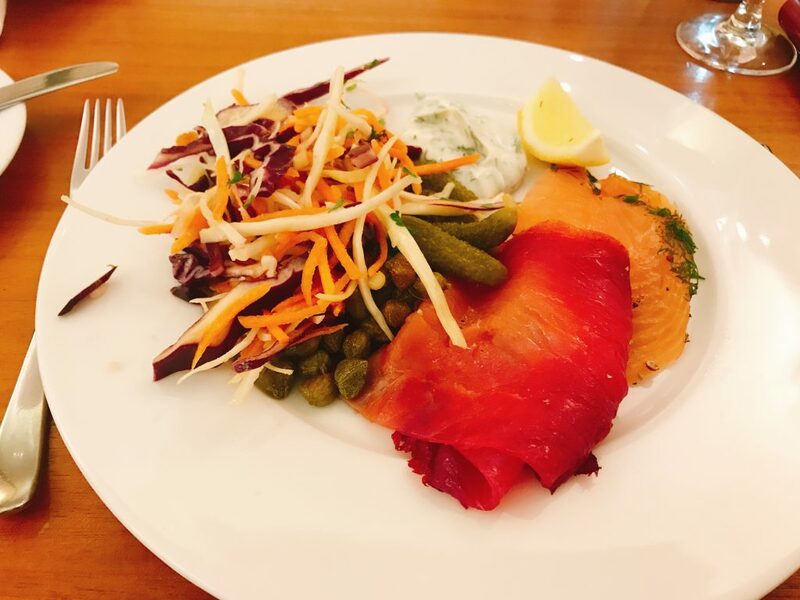 I tried the beetroot and dill cured salmons which were subtly flavoured in thick succulent slices. 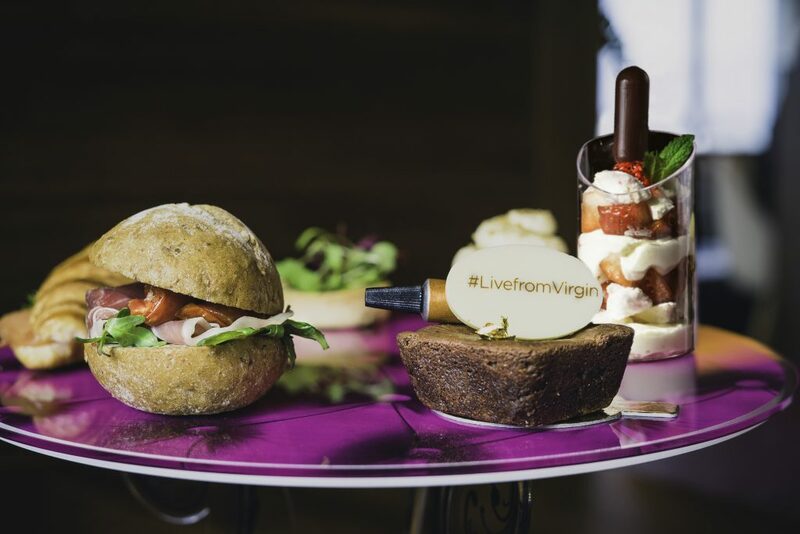 As you will see from the menu above, Virgin recently introduced afternoon tea which is served from 3pm. Unfortunately, I just missed it this time but they will start also serving a version on board later this year. The service in the restaurant was excellent – better than you would get in most restaurants. I nearly always find Virgin staff great – usually very friendly and helpful. The staff in the restaurant were exactly that and offered me very regular top-ups of my Jenkyn Place sparkling wine. I enjoyed the wine, it was very light and crisp although lacking the complexity of Champagne. If I had accepted all those top ups I would have been staggering to the plane but I managed to resist and save myself for onboard! 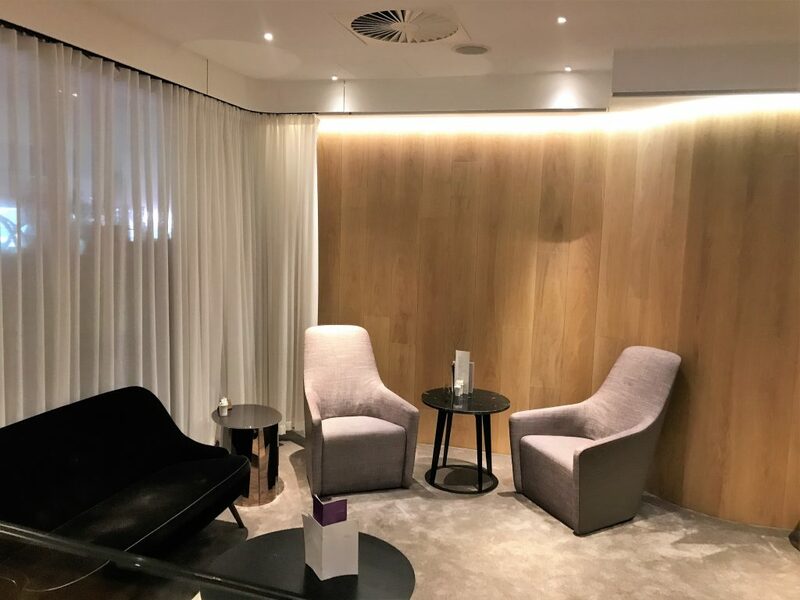 I thought that the Virgin lounge was as good as the last time I visited and in the restaurant, better in terms of the service which was really fantastic. The range of spa treatments wasn’t quite as good for my personal taste but I am quite happy to pay for the longer treatments when I have time. I still enjoyed the treatment that I did have and thought the attention to details in the spa was spot on. Although there are other lounges that are better in some areas such as the Champagne in the BA Concorde Room or the decor in the Qatar lounge, for the overall best lounge when you look at the free spa, great cocktails, wide range of tasty food and the friendly staff, Virgin’s Clubhouse still wins hands down for me. 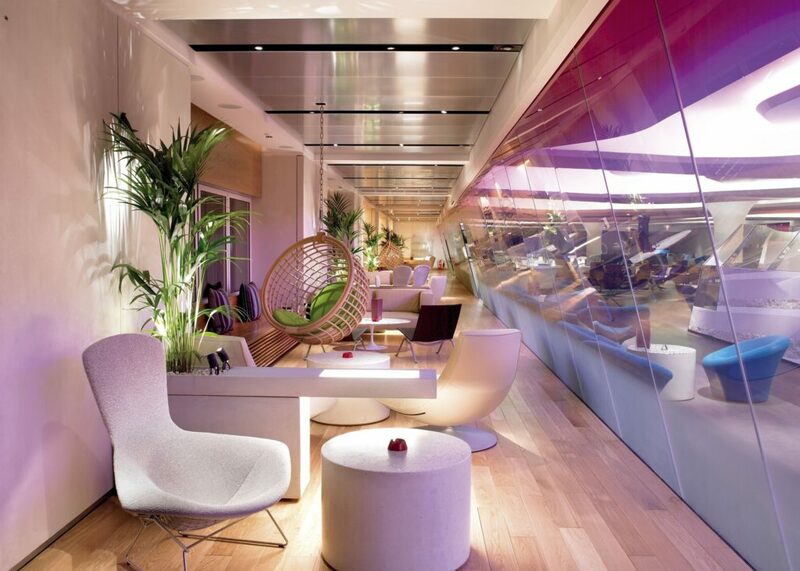 You can find more information on the Virgin Clubhouse at Heathrow here. 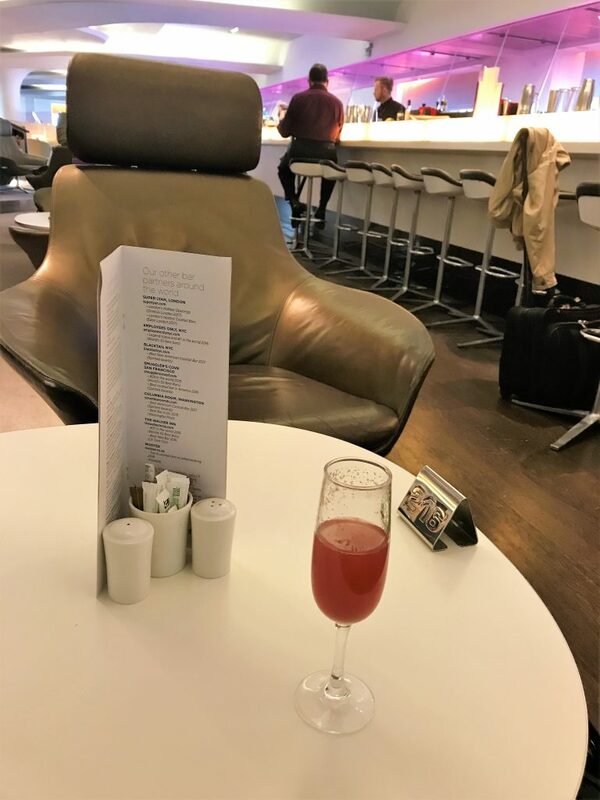 2 Comments on "Virgin Atlantic Clubhouse London Heathrow T3 review – the best lounge at Heathrow?" Personally I think the VS is better overall but I know a lot of people like the Cathay F as it’s much smaller, quieter and the Champagne is much better. Cathay would be my third or fourth favourite after Qatar and Etihad but fair point I didn’t mention it.